Ask any married couple and they’ll say spending quality time with your loved one is crucial. And what better way to bond with your partner than going for a romantic getaway? Many of us have booked a weekend stay at a nearby resort before for a romantic trip. But why not level up your romantic getaway by going to one of these resorts in Malaysia that offer rooms or villas that come with their very own private pool? 😍 These 11 resorts will guarantee a stay that you and your partner will never want to leave! The resort has villas that are located over water as well as some villas located in the hotel building on land. For a romantic retreat, we recommend the Deluxe Pool Villa – this cosy 62 sqm villa is tailored for couples and boasts a glass panel for viewing the sea beneath the villa, a dry kitchenette, and a bathroom equipped with rain shower. The resort offers a whole host of recreational activities, so there will plenty of things to do during your time there! Besides bicycle rentals, an archery range and a karaoke room, the resort can even arrange fishing and crabbing activities. Tucked away in a remote area of Malacca lies The Orchard Wellness & Health Resort. This resort is centred around relaxing stays focused on wellness, with services such as yoga and meditation classes, fitness programmes, and spa sessions available. For your romantic getaway, the Luxury Villa With Private Pool should be your accommodation of choice. This villa is hidden within beautiful greenery and encompasses a whopping 120 sqm of space that you will have all to yourselves 😍 The opulent furnishings of the villa are sure to help solidify a memorable experience. In addition to the villa amenities, all guests are given complimentary access to the fruit farms that surround the property. Enjoy plenty of freshly harvested fruits during their respective seasons including rambutan, longan, durian and more! Another Lexis resort makes this list with Lexis Suites Penang. This resort is just a 10-minute drive from Penang Airport and is located along a stretch of beach in Teluk Kumbar. What differentiates Lexis Suites Penang from its sister resorts is that instead of villas, all rooms are located within a 26-floor tower by the beach. All 222 rooms come with a private pool and steam room 😍 Choose between the Executive Pool Suite or the Premium Pool Suite, with the former being slightly smaller (82 sqm vs. 89 sqm). The hotel’s location is a bit far away from town and the main tourist areas, so it’ll be the perfect hideaway for your romantic getaway! It’s worth noting however that there are not many eateries within the immediate area, so if you intend to eat out you may have to travel a significant distance. On the plus side, just like the other Lexis resorts, the hotel’s in-house eateries including UMI Japanese Restaurant and Roselle Coffee House are halal-certified. Lexis Hibiscus gained fame for its beautiful pool villas that sit on the water arranged in the shape of the hibiscus flower. This luxury resort on the shores of Port Dickson will be a surefire pleaser with your loved one! Lexis Hibiscus offers a range of villas, starting from the 71 sqm Executive Pool Villa all the way to the ultra-luxurious Presidential Suite. Most of the villas come equipped with two king-sized beds, so you won’t have to worry about sleeping space 😉 Do note that the Sky Pool Villa, which is one of the more spacious villas at 96 sqm, is situated in the hotel building on land and not over the water. It still comes with its own pool and a great view of the sea, so choose the villa that best suits your needs! Similar to other Lexis resorts, Lexis Hibiscus’ restaurants (including UMI Japanese Restaurant and Roselle Coffee House) are halal-certified, so you won’t have to worry about where to eat! Does a luxurious tropical retreat sound good to you? Because this nature-inspired resort located in a quiet stretch of Kuantan will be sure to charm and provide a serene setting for your romantic getaway. The resort’s story is an interesting one – it’s built on previously barren mining land which was rehabilitated into a lush tropical retreat complete with villas nestled along wetlands. With an emphasis on being eco-friendly, the resort aims to provide a luxurious stay within nature. On top of the stunning accommodations, you can go for one of the various spa treatments available for a pampering treat. 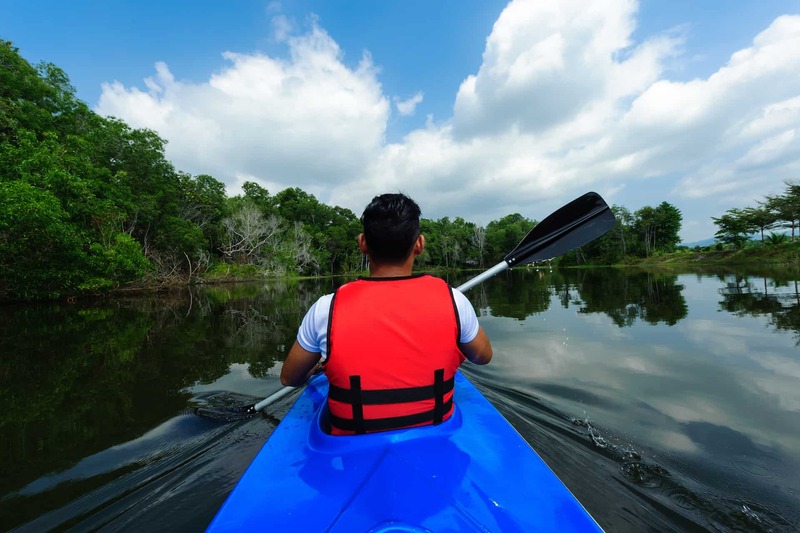 If you’re feeling more adventurous, opt for one of the many other activities offered – from nature walks and bird-watching sessions to kayaking, cycling and more! While the resort currently does not have in-house restaurants, La Villa Langkawi is located approximately 800m from the popular Cenang beach where there are several halal restaurants (not to mention street stalls!) available for you to get your fix of yummy food. The resort also offers an array of spa treatments, so if you’re feeling like pampering yourselves, this is a great option! Want a romantic getaway at a hotel with a private pool surrounded by lush greenery without travelling outside the city? Well, this hotel located in the heart of Petaling Jaya has got you covered. 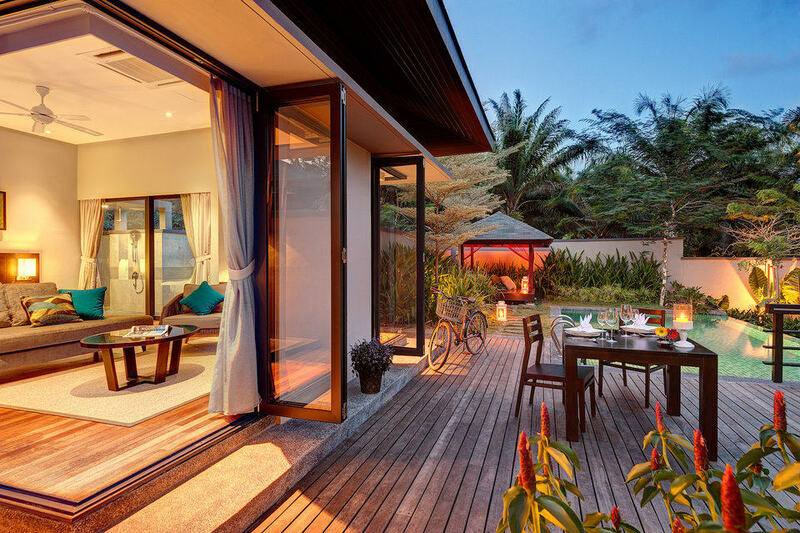 The Villas, which are part of the larger Sunway Resort Hotel & Spa, features villas that have private plunge pools and outdoor terraces all enclosed within a high stone wall and pretty foliage. This means you get to enjoy privacy during your romantic retreat within a tropical haven while still being a stone’s throw away from the thriving shopping malls and attractions within the Sunway City area! How about a romantic getaway with something a little different? The Banjaran Hotsprings Retreat is a resort situated amidst towering limestone formations and features access to geothermal hot springs, natural caves and waterfalls. The resort offers 45 villas that all come with a private pool. Whether you choose the Lake Villa (81 sqm-sized villa that faces the lake), the Water Villa (155 sqm-sized villa overlooking a water canal) or the Garden Villa (the largest villa at 261 sqm that comes with a private courtyard amidst a backdrop of caves and lush jungle), you’ll be enthralled by the natural beauty of the property. The resort offers a whole host of activities that are perfect to do during your getaway. Besides the various natural wonders to partake in (including the hot springs dipping pools, thermal steam cave and jungle walk), there also spa and massage services, fitness classes and meditation sessions, just to name a few! If you’re looking for a luxurious beachfront retreat that promises privacy, upscale accommodation and dreamy island settings, look no further. The Westin Langkawi Resort & Spa will have you covered in all those areas. The Westin’s 1 Bedroom Villas come with a private pool and are made for romantic excursions 😍 Score maximum brownie points with your loved one by going for one of the beach-facing villas. Waking up to a view of the sea in the morning? Yes, please! While you relax in this slice of paradise, enjoy the food from their restaurants, which uses ingredients sourced from halal-certified suppliers (though we note that alcoholic beverages are available on the menu, hence we recommend you to dine there at your discretion). If you and your partner are willing to venture out a little, you can be rewarded with this hidden gem located on the hillsides of Polish Bay on Gaya Island off the coast of Sabah. About a 15 minute by boat ride from Jesselton Point dock in Kota Kinabalu, prepare to be blown away by this secluded haven hidden amongst pristine rainforests with beautiful white-sanded beaches. The resort has only 48 villas which are beautifully made out of timber in traditional Bornean architecture. Choose the Plunge Pool Villa for the perfect hideout with your loved one – this 87 sqm villa faces the sea and has a private balcony along with the plunge pool. In terms of dining options, the resort has alfresco restaurant The Longhouse and Pantai Restaurant & Bar which collectively serve a mixture of Western and local fare. Both establishments use ingredients from halal-certified suppliers (though please note that alcoholic beverages are also available on the menu, therefore, we recommend that you dine there at your discretion). The Datai Langkawi has long been famous for being a luxury escape tucked in the island. This five-star resort nestled within the tranquil rainforests along Teluk Datai had been closed for a thorough renovation since last 2017 and has only recently reopened its doors! While it is currently still in soft opening phase until the end of January 2019, meaning that certain facilities are still not operational, that shouldn’t stop you from taking advantage of the resort’s amazing accommodation. Given the resort’s more secluded location (a 45-minute drive to Pantai Cenang and 55-minute drive to Kuah town), we’d completely understand if you’d want to spend most of your time on the resort grounds. Luckily, The Datai has multiple dining establishments, including The Gulai House (specialising in Malay cuisine) and The Pavilion (specialising in Thai cuisine), which uses ingredients sourced from halal-certified suppliers (though please do note the restaurants also have alcoholic beverages available on the menu, hence we recommend you to dine there at your discretion).